In the late 1930s, when war with Nazi Germany became increasingly certain, an employee of the British government was tasked with developing a safe underground complex from which the British government could conduct the impending conflict. The result of his work was the Cabinet War Rooms — or, because they became known by the name of the man who led Great Britain during the conflict, the Churchill War Rooms. The rooms were locked after victory was achieved in 1945 and left undisturbed for years. Knowledge of the rooms was still restricted, but tours of the rooms were given to some VIPs, who were fascinated and urged that the rooms be made available to the public. As a result, the Cabinet War Rooms were opened to the public. Yesterday Richard and I paid a visit to the rooms, and it was like walking back in time. The War Rooms are located in the basement of a government building a block or so away from 10 Downing Street. 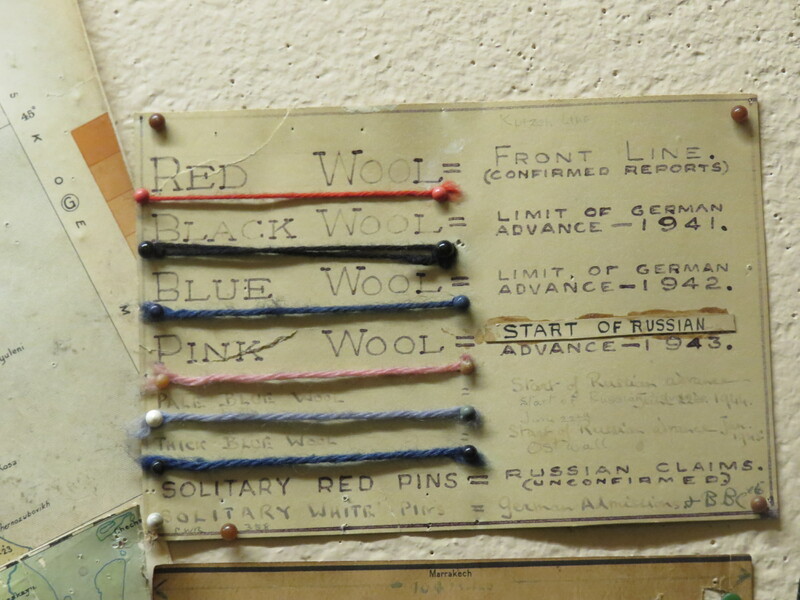 The museum itself allows you to walk through the complex, looking at the tiny bedrooms and dining rooms and offices of the people who worked there, the map rooms with different colored yarn to denote Allied and Axis positions, and the offices where different colored phones linked the Prime Minister and head of British armed forces to the various branches of the British military. The entire facility very much has the feel (and faint smell) of a place that was locked when it was no longer needed and left undisturbed for years. It’s wonderful stuff for a history buff. 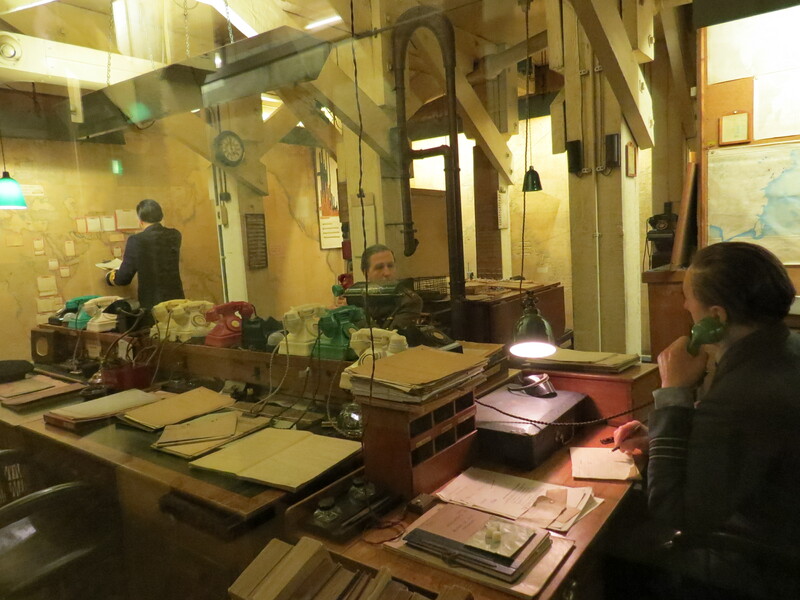 One of the nicer aspects of the Cabinet War Rooms was a display at the beginning that showed pictures, correspondence, and in some instances video interview footage of the average British people who worked at this top-secret facility as secretaries, messengers, or code readers. These people kept the precise location and nature of their work a secret for years, risked injury and death by being at the center of London during the Blitz, and then went back to their regular lives after the war ended. It’s heartening to see that their important contributions to the Allied cause were recognized. 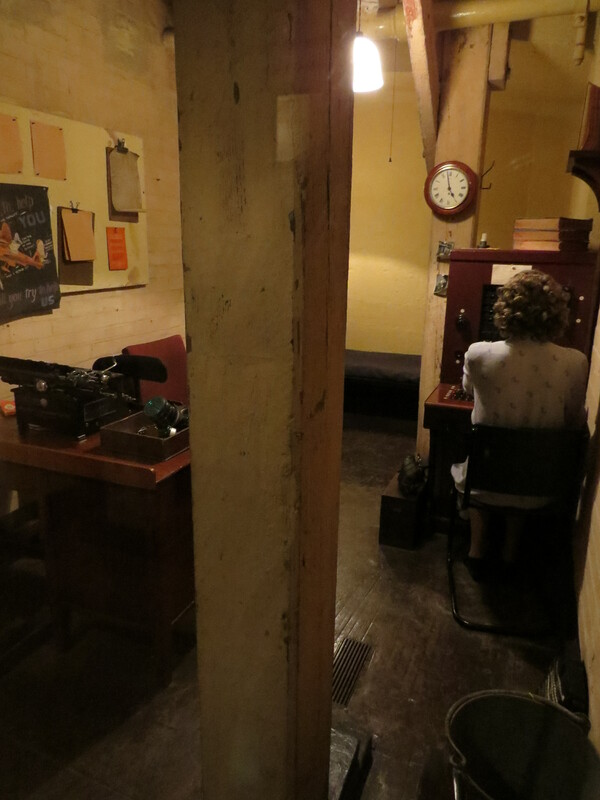 The Cabinet War Rooms also include a Winston Churchill museum that provides information about the brilliant and inspirational speaker who led Great Britain for most of the war, before being voted out of office shortly before Japan surrendered. Churchill’s speeches, uniforms, odd work habits, and relations with other world leaders are all addressed in the museum, which would be worth visiting on its own merits.